Can't find the right word or phrase? Running low on inspiration? 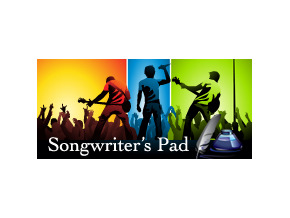 Then Songwriter's Pad™ for iPhone™ is the app for you. It contains powerful idea generating tools designed to inspire creative expression and eliminate writer's block. Got an idea for a melody? Press the 'Record' button on the built in Audio Player and let it rip. Capture vocal ideas anytime inspiration strikes and save it with your lyrics. Songwriter's Pad™ for iPhone™ is an invaluable creative tool for the songwriter. Everything a songwriter needs is now available in one easy to use app. ★ Export songs in text and audio format via e-mail for external use.